In-house screening room in Munich utilises a CR1 system with subwoofer, surrounds and processing amplification. Walt Disney Studios Motion Pictures Germany in Munich has chosen an Alcons CR1 system with subwoofer, surrounds and processing amplification for its in-house screening room. In the Munich screening room, all German-spoken trailers and German dubbed film versions, mixes and DCP QC of all Disney movie versions are inspected for final approval. 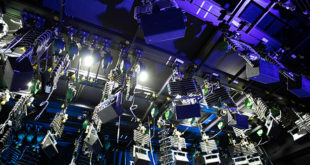 zweiB, the Munich-based provider of digital cinema systems, event technology and media production, has been supporting Disney Germany for many years and had previously installed digital cinema projectors in the screening room, among others. 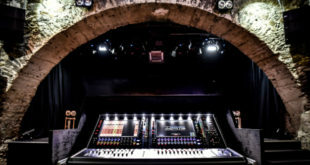 Accordingly, the company was also commissioned with the refurbishment of the cinema sound. 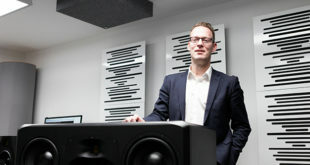 Tammo Buhren, CEO of zweiB issued a relevant recommendation: "In my opinion, the use of pro-ribbon speaker technology behind the screen is a gigantic thing. I was convinced from the beginning that Alcons would be the ideal solution for this project. At Disney Germany the main focus is to check the quality of the film sound and possibly verify defects therein. 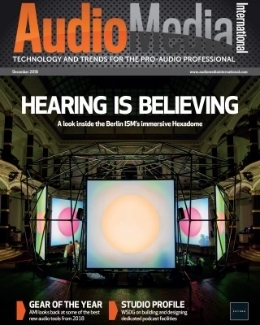 The Alcons system with its high-resolution, direct and clearly perceived sound image convinces. " Disney Germany relied on the recommendation of the technical service provider and opted for the purchase of the Alcons system. Installed were 3 x Alcons CR1 screen speaker systems, each fitted with 1 x 12in woofer, 1 x 6.5in mid-range and Alcons’ proprietary RBN401 4in pro-ribbon tweeter. The compact system is designed to be ideal for smaller rooms with its 18cm deep design and an ‘indescribably exact performance with uncompressed sound at the highest sound pressure levels’. The system is complemented with a CB181 18in subwoofer. All systems are driven by the new Alcons Sentinel3, 4-channel DSP class D amplified loudspeaker controller. For surround sound 6 x Alcons CCS8 (1in driver with 8in woofer in a coaxial configuration) are used. With this configuration the room is also prepared for future installation of Dolby Atmos. 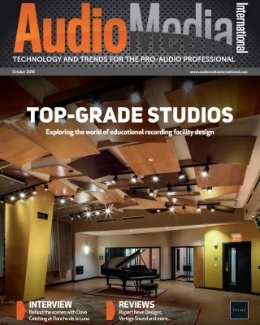 "The benefits of pro-ribbon technology are clearly audible, especially behind the screen, where you need plenty of headroom for a clean sound reproduction, especially at high frequencies," commented Buhren. "Here the strengths of Alcons are hard to miss. 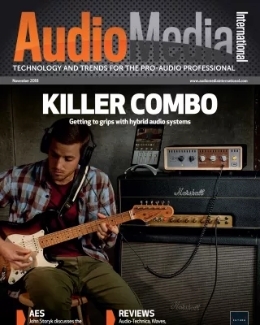 For me, Alcons currently offers the best products in the field of cinema sound." 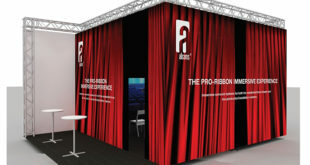 Carsten Albrecht, sales and technical support at Alcons Germany added: "We are very proud that we were able to convince Disney Germany of our cinema sound system. With our multiple-patented pro-ribbon speaker technology and 96kHz DSP class D amplifiers, Alcons provides the exceptionally high quality, which is required in a reference screening room. In order to assess the sound quality of a film on a professional level, the sound system has to guarantee a very high resolution and an uncompressed, undistorted sound reproduction. Here Alcons delivers spot-on."